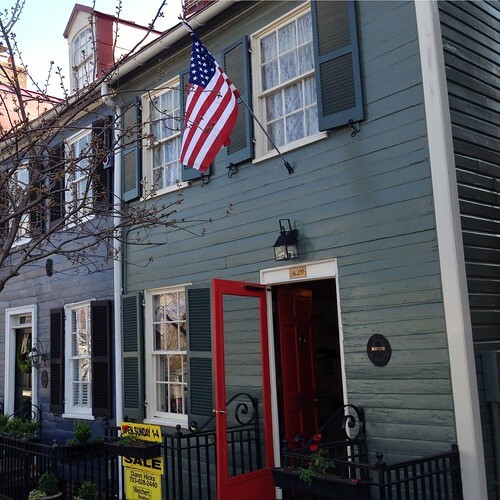 Throughout its historic district, Old Town has several pockets of homes and buildings that define the age or style for a given block. Though each area has its fair share of houses from the 18th, 19th, and 20th century, the rule of thumb is simple -- the closer you get to the Potomac in the blocks surrounding King, Prince, and Duke Streets, the better the chance the houses are older. 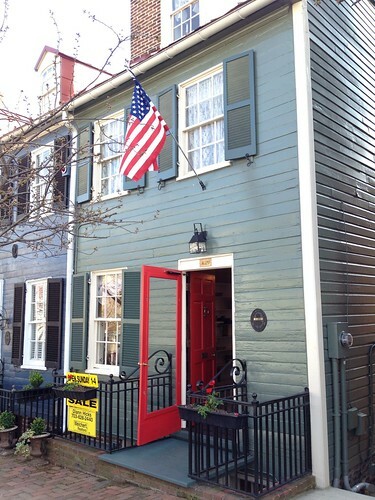 This weekend we were excited to see a home on the market in the 100 block of Wolfe St. 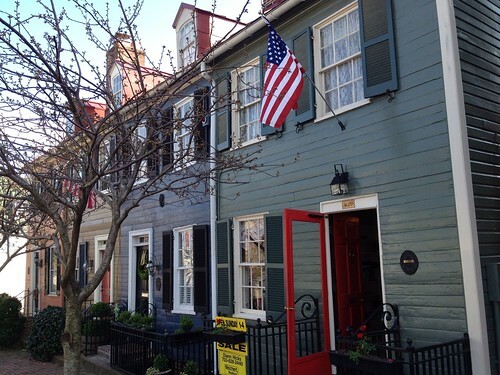 This block is full of quaint homes built in the late 18th and early 19th century. 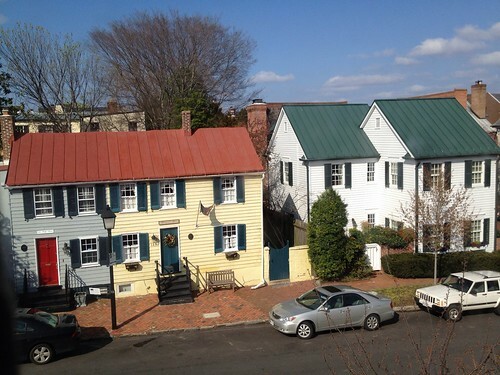 They were largely built as modest homes for sailors working in Alexandria's bustling port, so they are by no means large like our Open Housing subject of last week. Though not large, they have a certain charm and colonial comfort to them that makes them all very livable. This particular home is no exception. The exterior of the home has some great curb appeal. 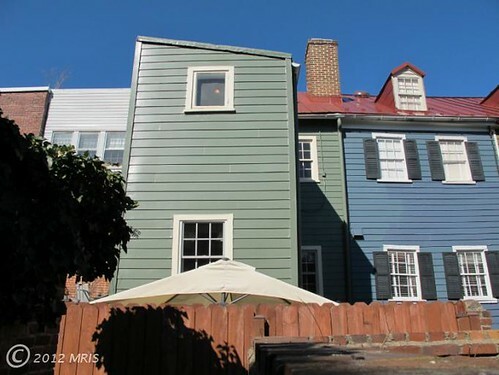 The house was built within a row of four similar houses, all differentiated by their exterior colors. 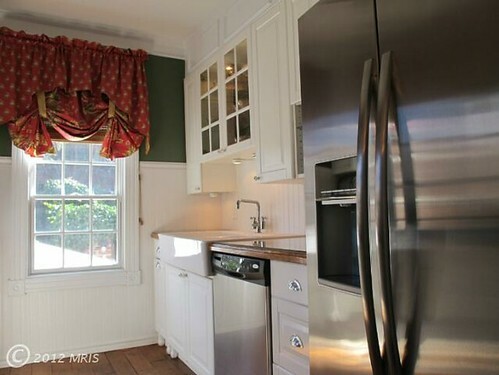 Though very small at first glance, this house is actually three bedrooms with two full and one half baths. Every bit of space is efficiently used and the end result is a nearly 1,800 square foot living area that all seems very well maintained. When you enter the home, you walk directly into the house's main living area. 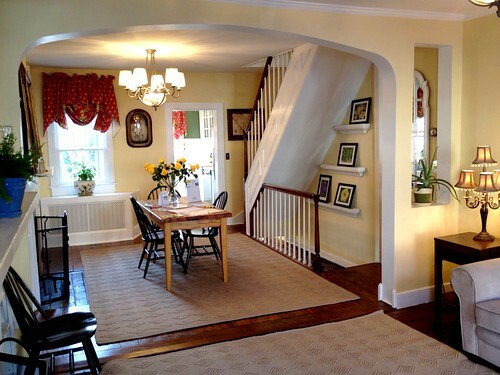 For a small home built around 1790, the first floor felt very functional and open. No doubt there was once a wall in place that made the first floor into a two room setup, but that wall has long since been removed. Though I tend to dislike when walls get removed, sometimes it's necessary to make a home into "your" home. I get that. 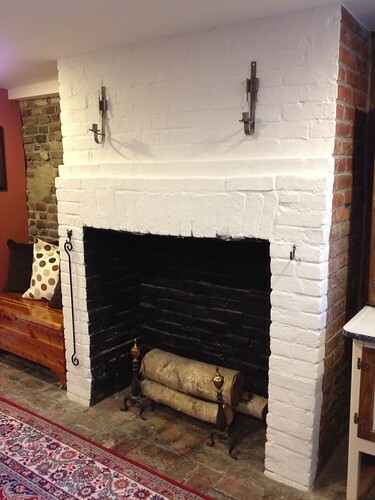 The front two rooms are set up as a living room and dining room, and both have an original working fireplace. 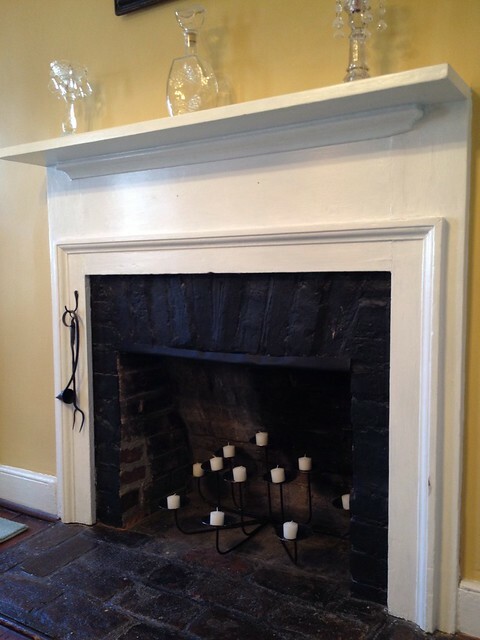 As you can see from the fireplace mantels, this home wasn't an ornate or overly embellished home, it was a simple and utilitarian home of a working class family. At some point in the home's history, a three story addition was built on at the back of the house. This addition houses a nicely appointed kitchen on the first floor. 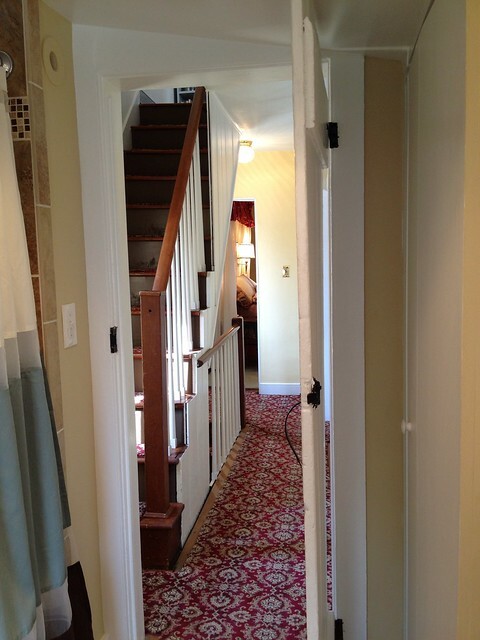 But it also added much needed space in the basement and on the second floor. Here's the addition from the back of the house. You can see how it sits on our subject house, but not on the neighboring houses. It definitely reduces the amount of outdoor space available, since this is a somewhat small lot, but it makes the house far more livable. The second floor of the home is split into two bedrooms and one full bathroom in the rear addition. The rooms are not particularly large, but they have so many interesting elements. 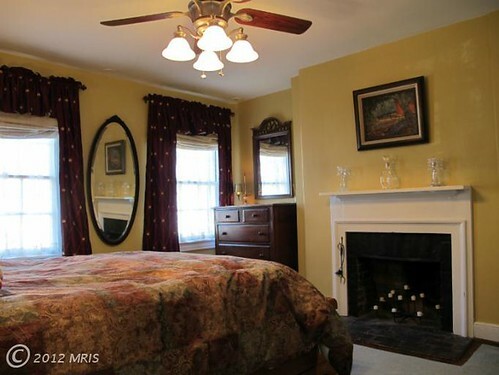 The master bedroom at the front of the house has a very nice sized fireplace and two windows overlooking the street. 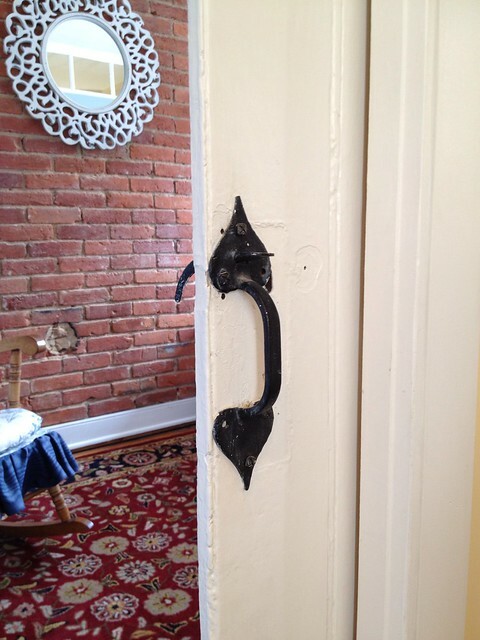 The hardware throughout the house is a mix of very old rim locks and thumb latches. 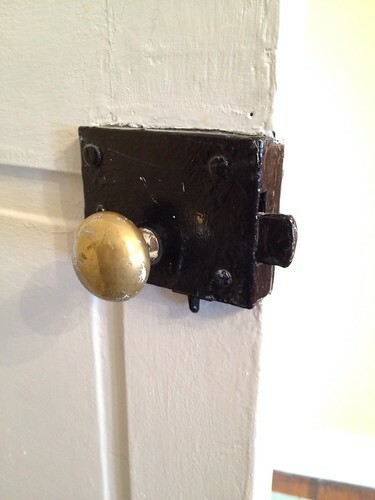 I really enjoy when 18th century homes try to stay true to the era of their hardware. The middle bedroom has a single rear facing window for natural light, and the exposed brick of the chimney from the fireplace below. The upper part of the room's wall has also been replaced by several panes of glass to allow in more light from the hallway. This is somewhat unexpected but does make the room look and feel much larger. The bathroom at the back is pretty new and has a double vanity, but I really like the view from the back of the house to the front. This really captures the feel of a true colonial Old Town home with tight spaces, unexpected angles, and cozy living. 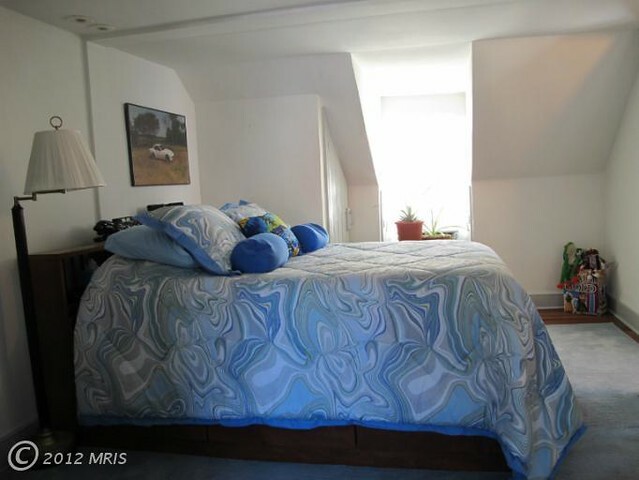 The third floor converted attic has two nicely sized dormers and works well as a bedroom and full bathroom. The view out the front window really shows you how nice the street is. The view across the street in any home can make or break it for me, and this one is quite nice. Even the home with the green roof that looks new is actually a very old home (the front portion) that had a large new home built onto the back of it. Photographing all of the spaces in this house is pretty tough without a wide angle lens, so I didn't even bother with the bathroom. The rooms aren't horribly small or tight, but the camera just doesn't lend itself to getting good shots of many of the rooms. Down in the basement I found my favorite feature of the house -- a very large fireplace. 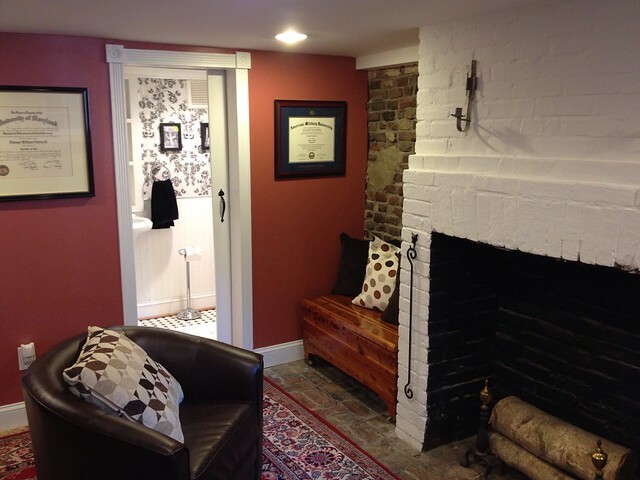 The basement has a nice family area and half bath. As well as some nice sized storage, a laundry area, and access to the back yard space. 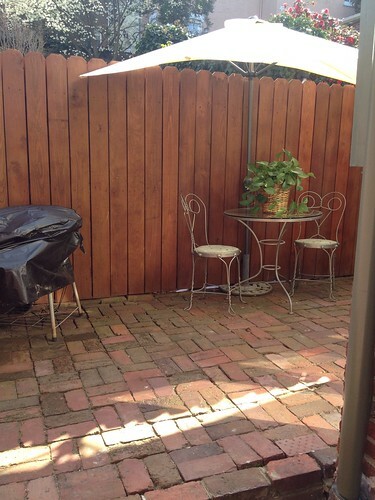 As I mentioned, the back yard is somewhat tight and limited, but it is south facing so it does get some good light. In all, this house is much larger and much nicer than we expected going into it. Often times these 18th century homes have been altered too severely, either to a true contemporary or modern style, or worse, a style that was considered modern in the 1980s. This home retains its charm and character while becoming functional for today's small family or couple. Interested in this home? You can see the house's listing here. Alex: Though I wouldn't trade, it doesn't mean I don't think this is a great house. 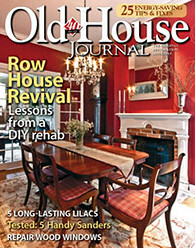 It has so much character and charm (and I don't mean "this house is falling down" type of "character." It has a functional flow, good configuration, good sized rooms, several nice fireplaces, and an ideal age as far as I'm concerned. The back yard is a bit small, but that's just a symptom of how and where the house is located in the oldest section of town. 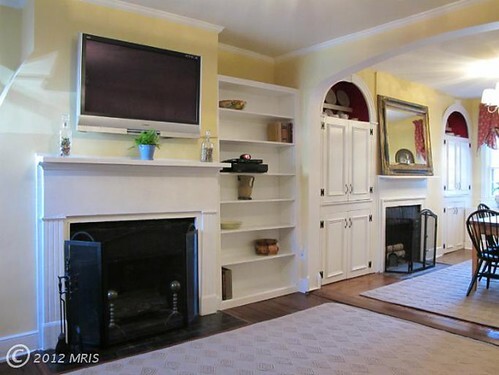 I wouldn't trade for our current home, but if we were looking for our first home in Old Town, and could somehow afford this place, I'd lobby hard that it would be the place to buy. Wendy: This home is absolutely adorable! And despite its modest size, has a good flow, respectable number of bedrooms, and just a ton of charm. Just like Alex said, I wouldn't trade our current house for this house (sorry, I'm not willing to give up parking, a first floor family room, or our outdoor space), but if we were in the market for our first home, this could be a winner. 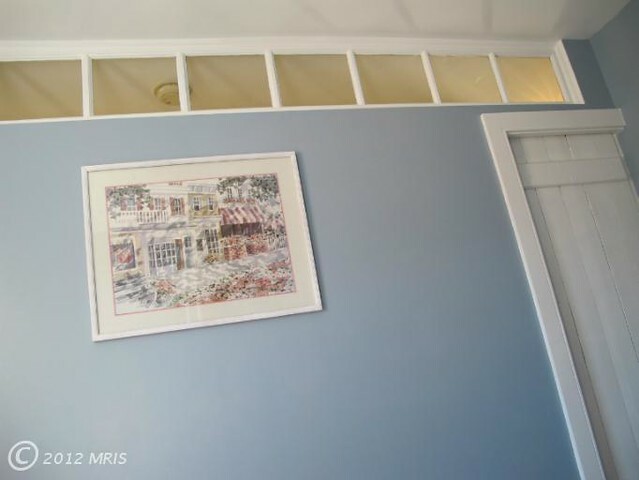 Photo Credits: Weichert Realtors and listing agent, Diann Hicks where "2012 MRIS" is noted in the photo watermark. Thanks for sharing this - the layout is very similar to my home in Winchester, VA. I also have several "bumpouts" - inevitable really, considering the plumbing was probably brought in-house at some point. Ahhh. That darn plumbing and HVAC! We have ugly HVAC bump outs that we've been slowly working to get rid of. Necessary evil, but not easy on the eye! I love that this old house has a finished and useable basement. Oh how I dream...haha. Us too. 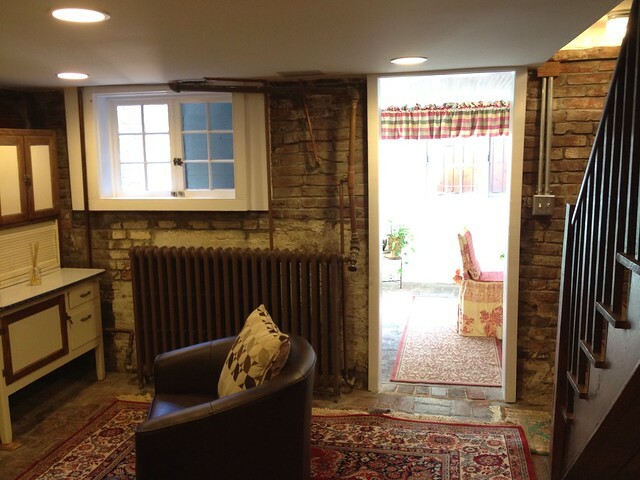 When I look at our disgusting basement, I try to imagine it having a wine tasting area! I only wish I had an extra $850K... Can't even image the price tag on last weeks showing. That house was something!!! Us too. We keep playing the lottery, but the $3 we won last week won't exactly cut it! (and if I lived in DC LOL). I love all the fireplaces and the simple lines of all the mantles really appeal to me. Looking at the archway and pass thru between the dining and living rooms, I'm betting that the wall was removed sometime between 1890 and 1920. That arch and column are very Craftsmanesque. Wendy and Alex - Great blog! I actually stumbled across it through this particularly entry, as I'm closing on that very house at the end of the month and can't wait to move in. My plans (at least initially) probably won't be as ambitions as yours, but I'm really looking forward to putting my own touches on a place that already comes with a lot of great personality. I'm sure I'll use some of your wonderfully-documented experiences to help me through the process! Hi Jeff. We're so glad you found our blog, and a huge congratulations on your new house! As you know, I think it's absolutely charming and it seems like you've found a real gem. Good luck with the move!